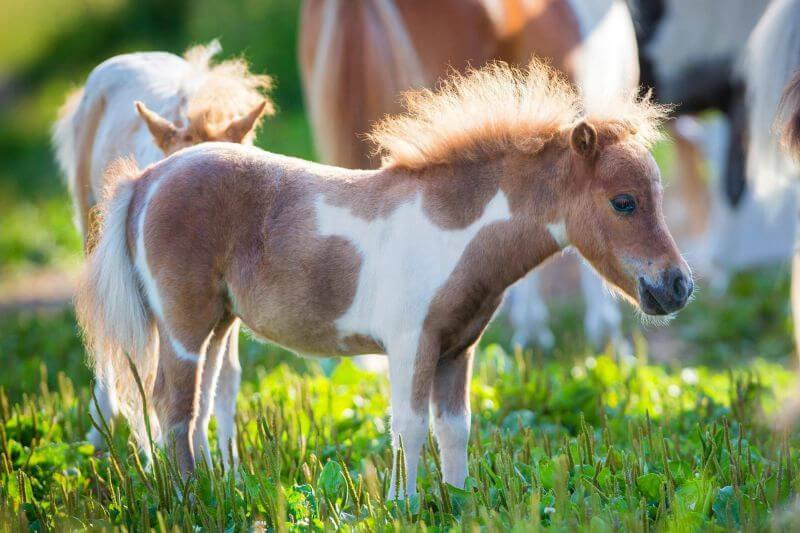 Well, as the name suggests, miniature horses are those mini horse breeds which are distinguished by their small size. 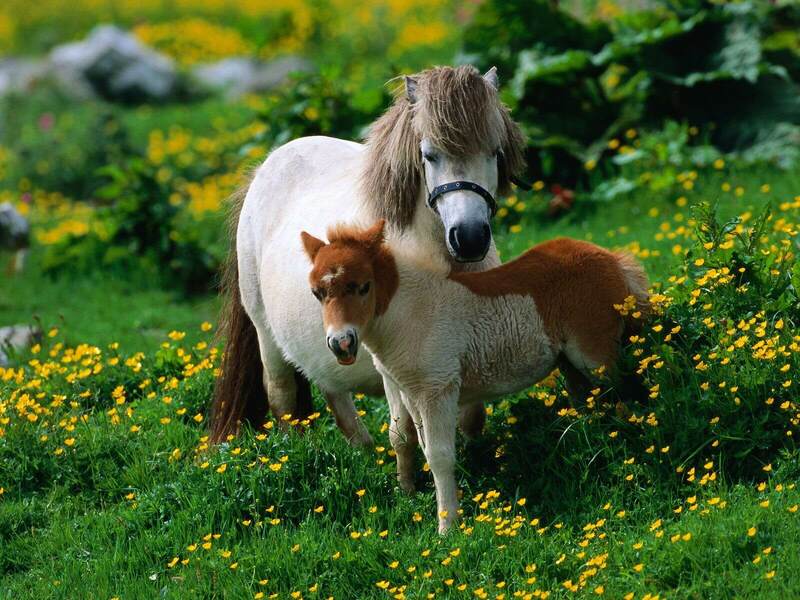 Their scientific name is Equus ferus caballus, although they are commonly referred to as Mini Horse or mini ponies. They are found in many countries, mostly in Europe and America. These horses are bred with the objective of making them suitable pets. They are very docile and have a gentle and friendly nature and can also be trained as service animals for people with disabilities. 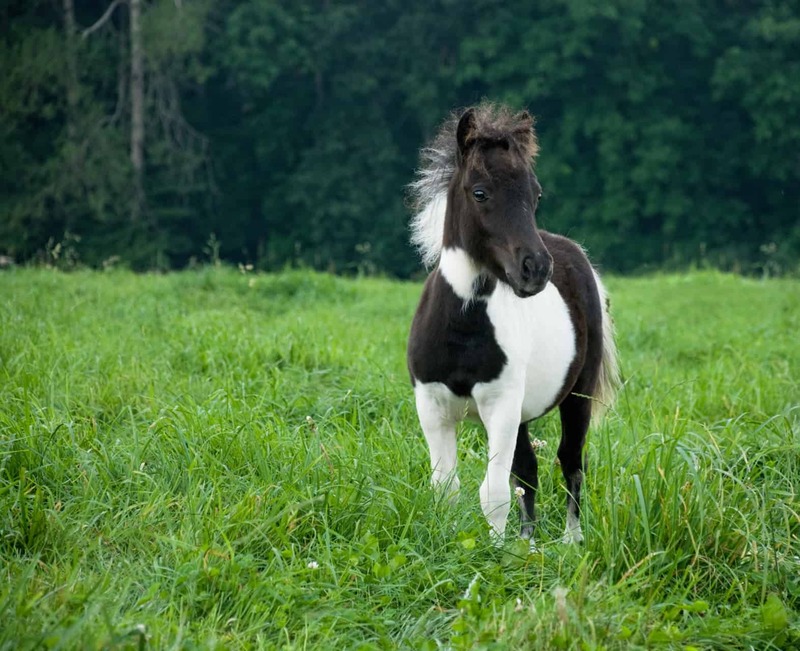 Here, at Pets Nurturing, we will give you all the basic information you need regarding miniature horses. Adult Miniature Horse has a height of about 3 feet and weighs up to 200-250 pounds. Don’t confuse them with ponies, these horses are smaller in size. 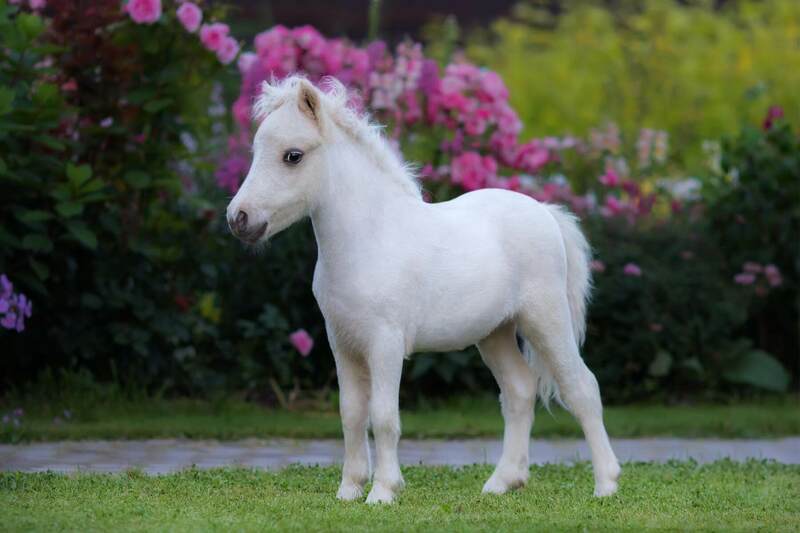 At birth, a baby Mini Horse weighs around 20 pounds. They come in a variety of colours and coat types. Their forehead is wide, they have big eyes that are set apart, large nostrils with refined muzzles, and pointy ears that are bent slightly inwards. 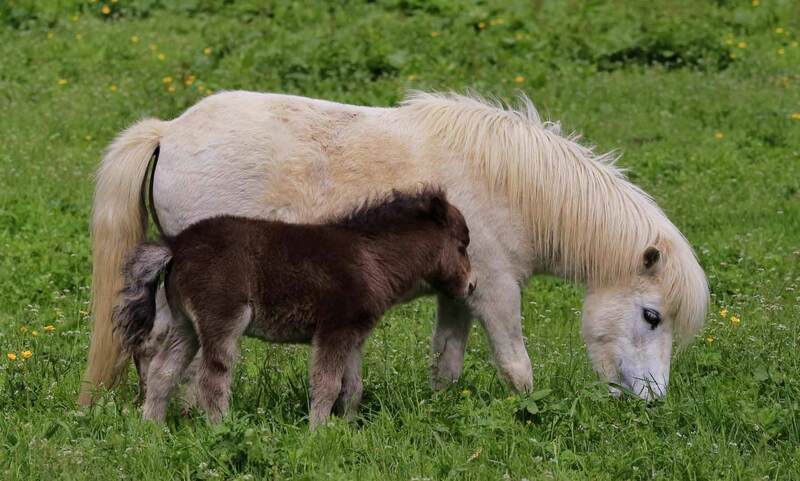 Despite their small size, the miniature horses look strong and sturdy and carry themselves with an air of dignity that matches that of the largest of horses. All in all, a mini horse exhibits the same physical features as a regular horse and if you see a picture of them with no relative sense of height, you would think that you are looking at a regular big horse. 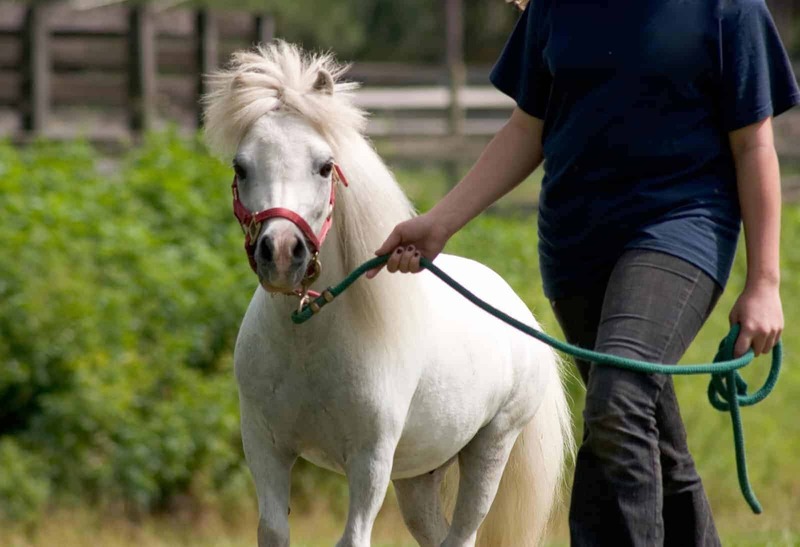 As mentioned above, Miniature Horses are very calm and obedient which makes it easy for you to train them. They are playful and curious and would make an amazing and cute pet for your kid. They don’t even require large acres of land unlike the big horses and are quite easy to manage. They also make good draft horses for adults. The miniature mares have an air of refinement around them while their male counterparts are bold in nature. Miniature horses have a huge life span of 30-35 years and although they are generally healthy horses, they do have some health issues. Angular limb deformities (crooked legs that cause difficulty in walking, but can be cured by surgeries), luxated patella, malerupted teeth (often they retain their baby teeth which prevent the growth of permanent teeth, so the baby teeth must be pulled out. 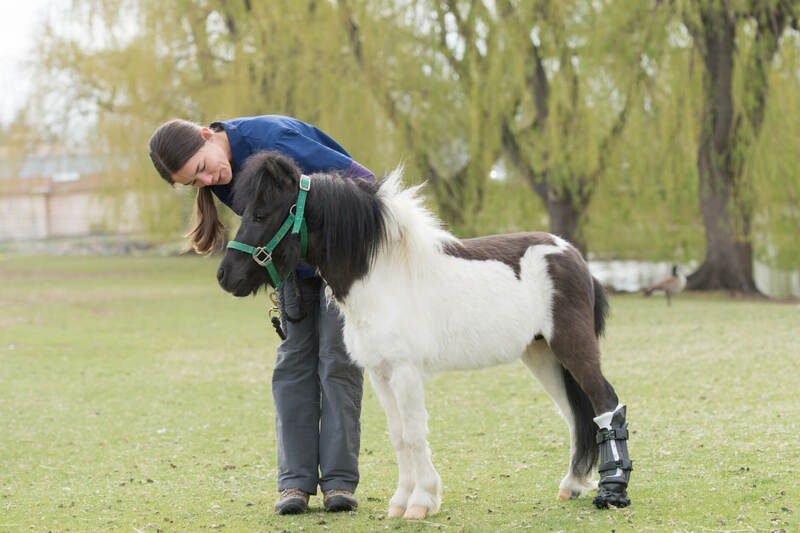 ), jaw deformities, and sinusitis are some of the common health issues faced by the mini horses. The eating habits of miniature horses are much the same as regular horses. You can feed them grasses and grains or even use them as lawn mowers to keep your lawns trimmed and pretty. Just make sure that they get a minimum of 4-5 pounds of forage each day. 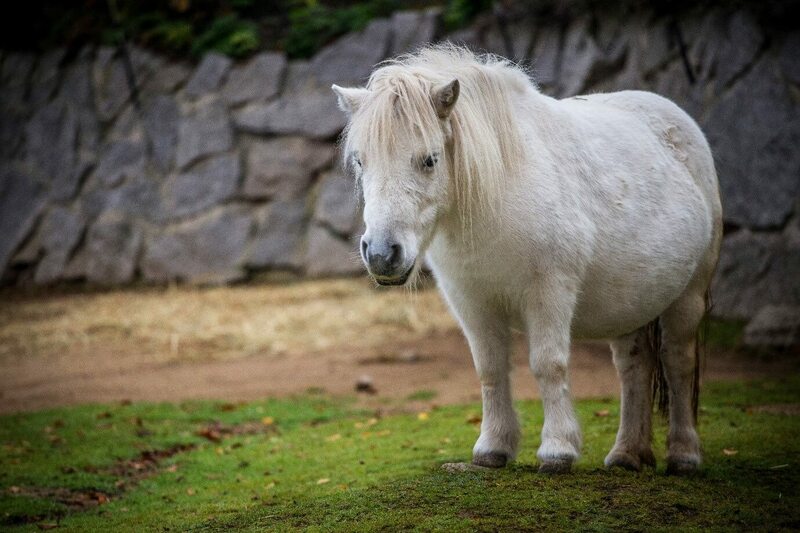 Here’s the thing with miniature horses, they like ponies can be overfed but not underfed. Soft, fine, leafy hay is more preferable than coarse and mature hay. These horses are fond of sweets, so they like candy, soda, cereal, and also apples. You should regularly groom your miniature horse. Use good quality tools, brush their mane and clean them with care. Look for sore or tender spots, but don’t over wash them. You can shampoo their hair once in a month but do not use conditioners or other hair products. Pay attention to whether your horse likes soft brushes or stiffer ones. Take special care while combing their mane and tail so as not to break any hair by roughly handling it. Just be gentle with them and you are good to go. So, these were all the basic important factors you need to keep in mind while dealing with a miniature horse. They are cute and loyal pets and if you are wondering whether or not to get them, just give them a chance. You will absolutely adore them.